There’s been a bit of debate over Disney’s “live-action” remakes recently concerning whether they actually are, in truth, live-action. The first few undoubtedly were—Cinderella, Pete’s Dragon, and of course Maleficent. But then Jon Favreau’s visually stunning The Jungle Book blurred the lines, with the young actor playing Mowgli serving as the film’s only true live-action element. And with The Lion King on the horizon, which features absolutely no humans and a ton of photoreal visual effects, it’s hard to say it actually is a live-action film. So you’d be forgiven for assuming that Disney’s upcoming Lady and the Tramp remake might be treading similar territory. As it turns out, not only are there human actors in the film, but the titular pooches are being portrayed by real-life dogs. 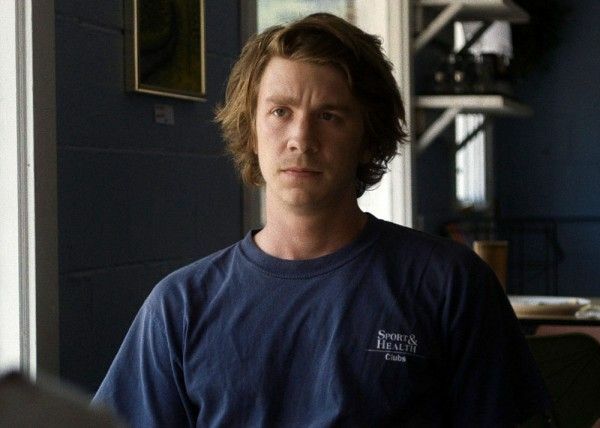 Collider’s own Christina Radish recently spoke with actor Thomas Mann about his new film Maine, and during the course of their conversation, Mann offered some tantalizing teases about Lady and the Tramp. In addition to confirming a period setting, Mann said they’re using real live dogs in the movie. Now, it’s unclear if these dogs will be partially replaced in post-production or if visual effects will simply be applied to their mouths so they can speak, but it is heartening to know the film appears to be leaning towards a heavy live-action element during production. Lady and the Tramp is poised to debut exclusively on Disney’s streaming service Disney+ and is currently in production with director Charlie Bean (The LEGO Ninjago Movie). Tessa Thompson and Justin Theroux provide the voices of the titular leads. Check out what Mann had to say about Disney’s live-action Lady and the Tramp remake during his conversation with Collider below, and look for our full interview with the actor on Collider soon. Collider: You went from doing something so sparse like Maine, to doing something like Lady and the Tramp. What’s it like to be on a set when you are one of the only human characters? THOMAS MANN: Thank you for asking about that because it is very strange. Obviously, Lady and the Tramp is a little more comedic, for my character, at least. I get to be little more broad because of its period. That was actually something that was very, very different for me, whereas Maine is a character that’s the closest to myself that I’ve ever played. 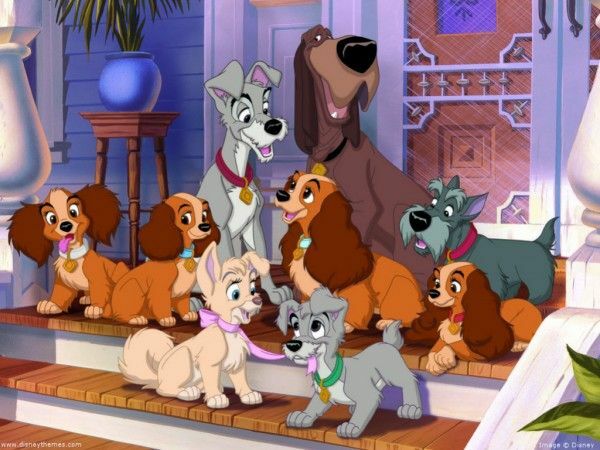 There is such an interesting trend with these Disney classics, like Beauty and the Beast, Dumbo, The Lion King and now Lady and the Tramp, where we’re getting to see them in a different way. What most excites you about the way that you’re telling the story of Lady and the Tramp? MANN: I really think it’s an enhanced version of the world that you saw before. Obviously, the human characters are a little more flushed out. They’re not these passing faces that you barely get a glimpse of. You get to know them a little bit better. And also, there are real dogs. Who doesn’t want to see two real dogs kiss over a plate of spaghetti? That is the main draw for me. You get the charisma of real dogs in there. Lady and the Tramp came out in 1955. I understand people who are like, “Don’t mess with the original,” but they aren’t re-animating it. It’s a live-action remake. So, why not? Did you actually get to act with dogs, or were they not there? MANN: The dogs were there. We shot with the dogs, every day. They were on set and they weren’t even trained. They found these dogs and started training them about three months before. They just wanted to find the perfect dogs. The main dog’s name was Rose, who played Lady. It was crazy because they didn’t know they were working, so they would run off in the middle of a take, and then come back over. You have to be extra patient because you have to be good every time for when they are good once. It was a lot of fun. It was so cute, every day, to just have a bunch of dogs to play with. It made the job a lot less stressful. I’m excited about it because I love that story, but I also think it will be really interesting to see what’s done with it because it does feel like there are so many possibilities. MANN: It’s a little more dramatic, too. I wouldn’t say that it’s a full-on drama or anything, but it’s a little more grown up, in its own way, and a little more sophisticated. It looks beautiful, in the few things that I’ve seen, from the way it was shot. The production design, alone, is pretty immaculate. That’s so cool! I cried with the Dumbo trailer, so I’m excited to see what Lady and the Tramp looks like, as well. MANN: Just wait! It will be amazing! These dogs are movie stars.